Gland, Switzerland – Only one percent of the sustainable palm oil available on the market has been bought, according to new figures released by the WWF today. In a bid to speed up this “sluggish performance”, WWF will assess the world’s major users of palm oil over the next six months and publish a Palm Oil Buyer’s Scorecard highlighting companies that support sustainable palm oil and exposing those who have not fulfilled their commitments to buy it. WWF helped set up the Roundtable on Sustainable Palm Oil (RSPO) as an international body for the industry to develop sustainability standards. Certified Sustainable Palm Oil (CSPO) has been available since November 2008 and provides assurance that valuable tropical forests have not been cleared and that environmental and social safeguards have been met during the production of palm oil. Yet further production will hinge on manufacturers and retailers committing to buy what’s available. WWF asks all companies buying palm oil to make public commitments that they will use 100 percent certified sustainable palm oil by 2015; to make public their plans with deadlines to achieve this goal; and to begin purchasing certified sustainable palm oil immediately. The Palm Oil Buyer’s Scorecard will rank the commitments and actions of major global retailers, manufacturers and traders that buy palm oil. Companies will be scored on a variety of criteria relating to their commitments to, and actions on, sustainable palm oil. 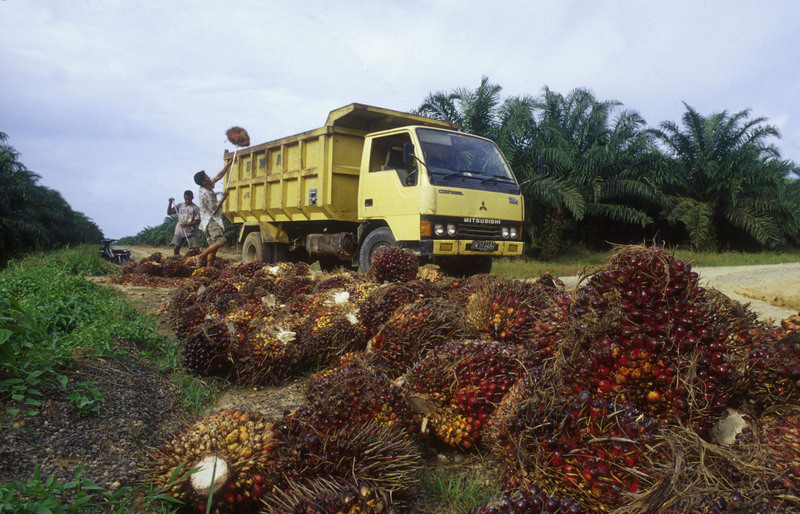 The resulting scores will not only help consumers evaluate the performance of these companies but will also encourage the companies themselves to better support the use of sustainable palm oil. As a founding member of the RSPO, WWF has worked since 2002 with the palm oil industry to ensure that the RSPO standards contain robust social and environmental criteria, including a prohibition on the conversion of valuable forests. The RSPO brings together oil palm growers, oil processors, food companies, retailers, NGOs and investors to help ensure that no rainforest areas are sacrificed for new palm oil plantations, that all plantations minimize their environmental impacts and that basic rights of local peoples and plantation workers are fully respected. The RSPO began in 2002 as an informal cooperation on production and usage of sustainable palm oil among Aarhus United UK Ltd, Golden Hope Plantations Berhad, Migros, Malaysian Palm Oil Association, Sainsbury’s and Unilever together with WWF. These organizations held the first Roundtable meeting in August 2003 in Kuala Lumpur in order to prepare the foundation for the organizational and governance structure that resulted in the formation of the RSPO. Since then the RSPO has grown to include more than 300 members between them accounting for more than 35% of global palm oil production. WWF will assess the world’s major users of palm oil over the next six months and publish a Palm Oil Buyer’s Scorecard.